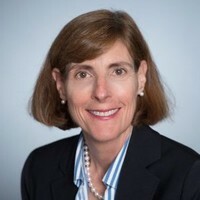 Raytheon has picked former National Security Agency official Teresa Shea as its vice president of cyber warfare and mission innovations to lead a newly created area of business for Defense Department and intelligence community customers. The position sits within the company’s Intelligence, Information and Services business, and Shea will report to Vice President of Cybersecurity and Special Missions John DeSimone. Shea will be tasked with leading the integration of Raytheon’s DOD cyber warfare initiatives and intelligence community cyber mission programs. Prior to joining the Raytheon team, Shea was executive vice president of technology at In-Q-Tel, where she led technology investment with the intelligence community and DOD customers. She also spent 32 years with NSA and served as director of signals intelligence. “Teresa’s three decades of leadership in national security and technology development will set a new foundation for our cyber business and help take it to the next level,” said Dave Wajsgras, president of Raytheon IIS. Wajsgras noted Shea’s expertise will help Raytheon provide its customers with solutions for their cyber challenges. “I look forward to joining the team and bringing my domain expertise to help address the myriad of evolving cyber threats our nation and allies face,” Shea said.